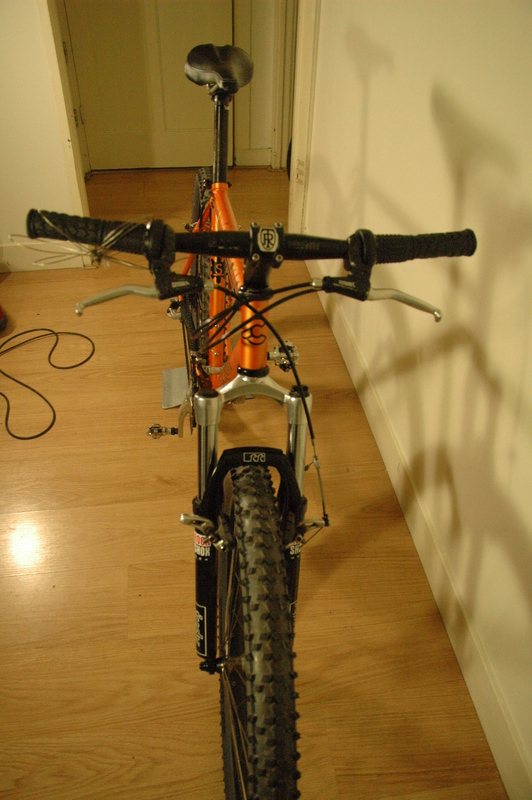 so I set out with my bag of parts to the rescue..
but the forks were quite corroded..
so I cleaned them up somewhat. 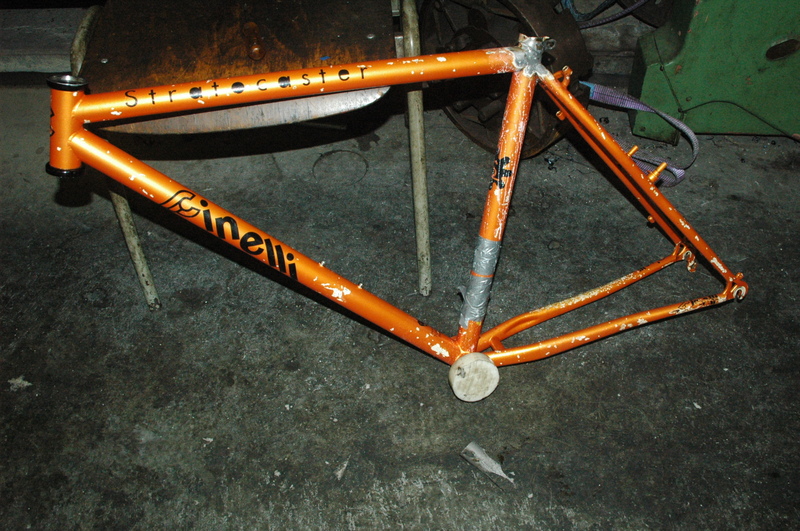 but will have to dismantle to get inside and see how bad the decay is, and get the spring back in them. 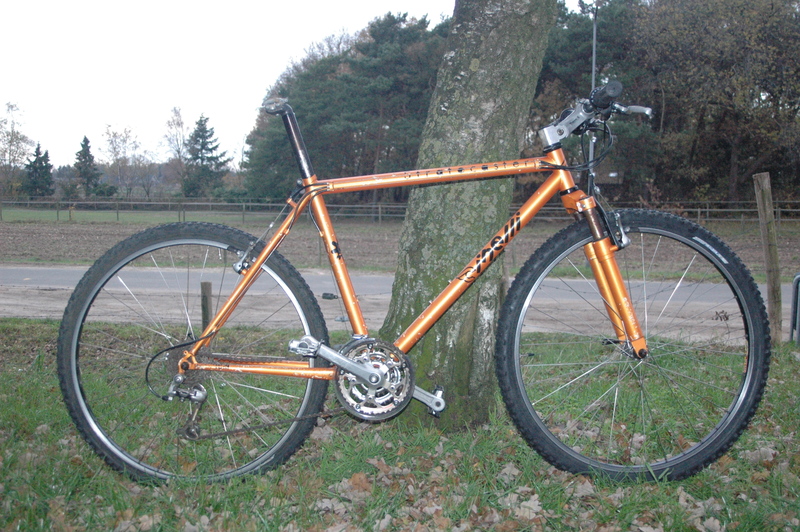 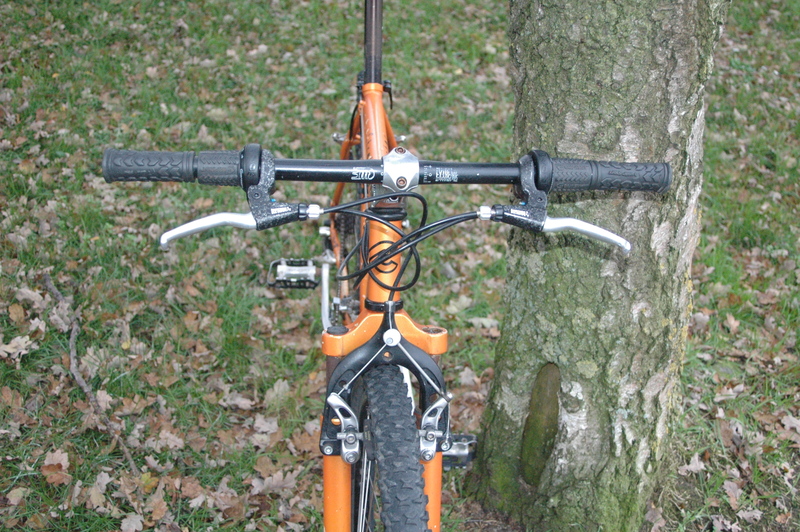 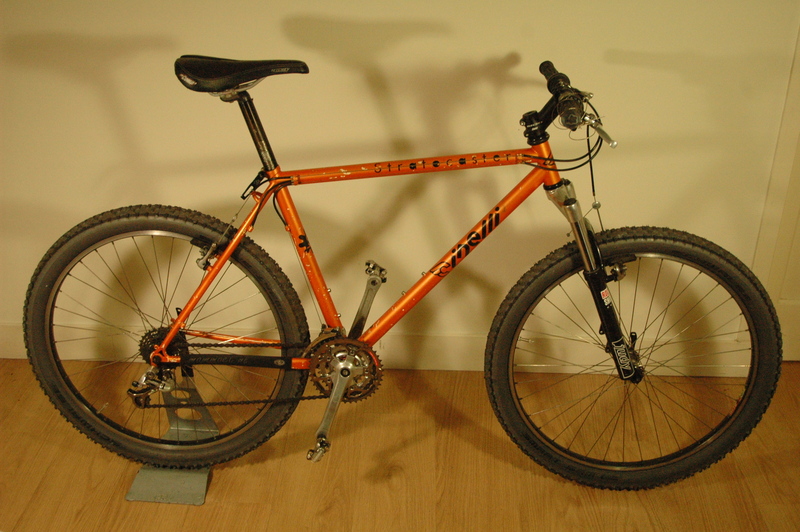 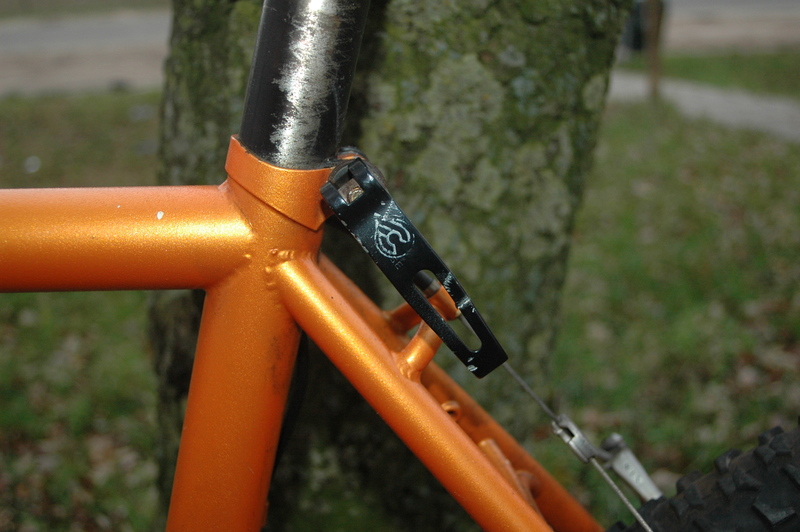 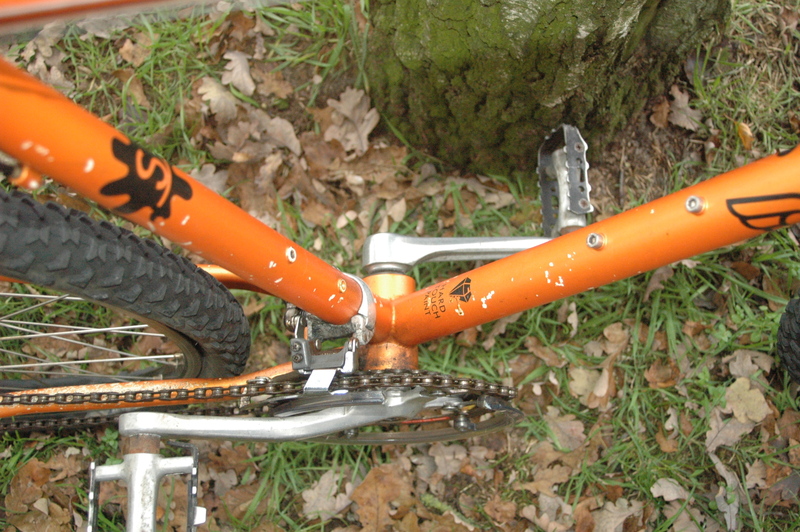 and an original Cinelli seatpost clamp..
As it is, it’s a fast mtb, I’ve flown on it, and it’s my current winter beater. 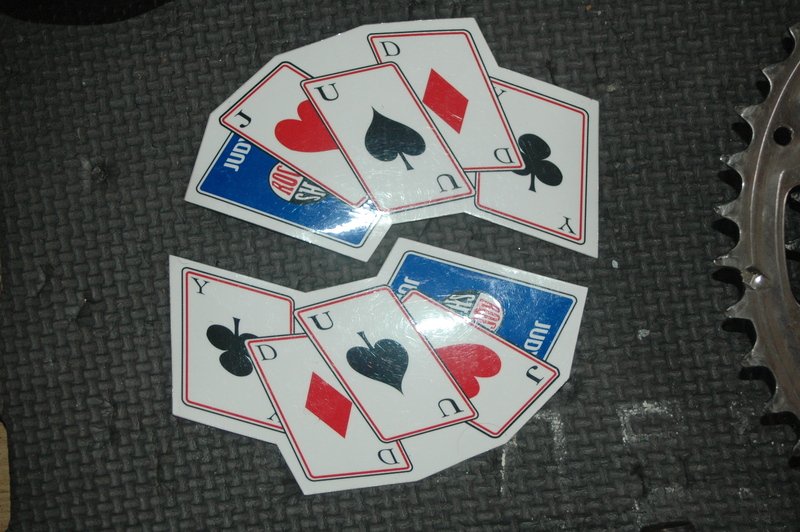 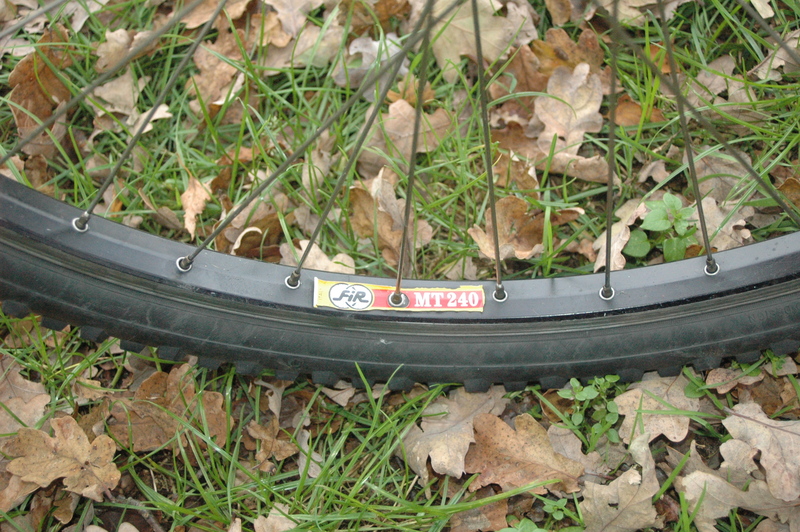 managed to find these original Rock Shox Judy playcard decals..
I’ve been riding old/vintage Milanese road bikes for a while, before it got fashionable, and now that rare Italian steel bikes have become more popular, I’ll keep them off the salty winter roads. 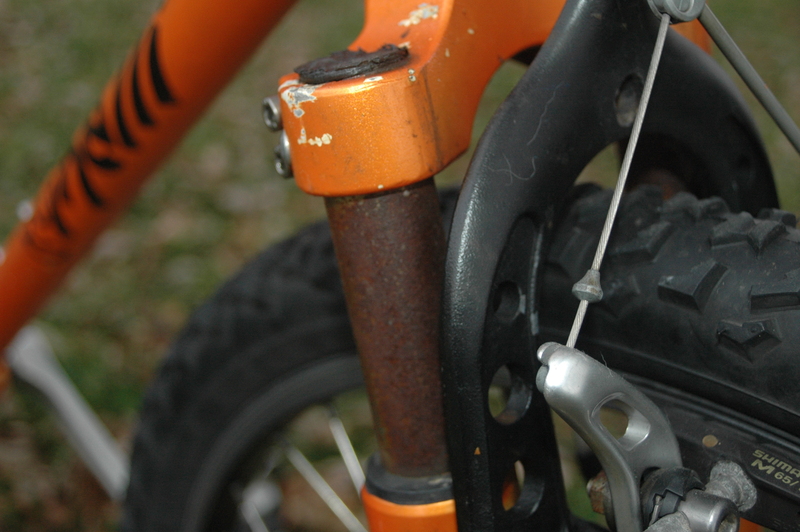 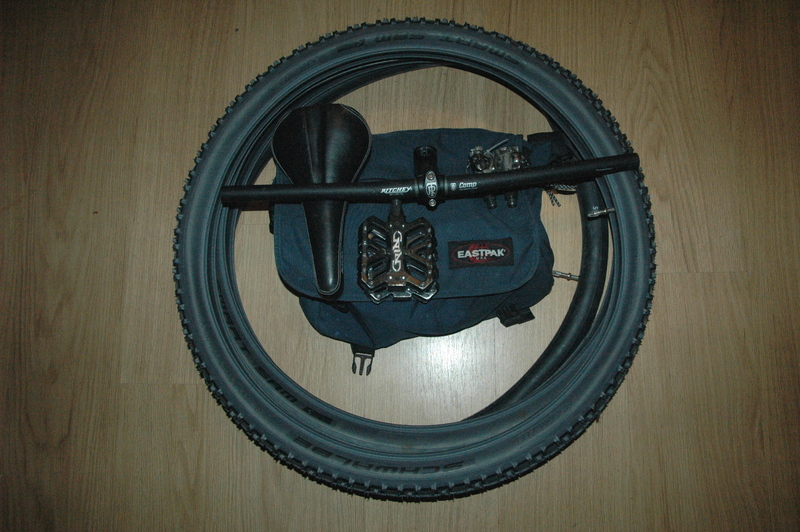 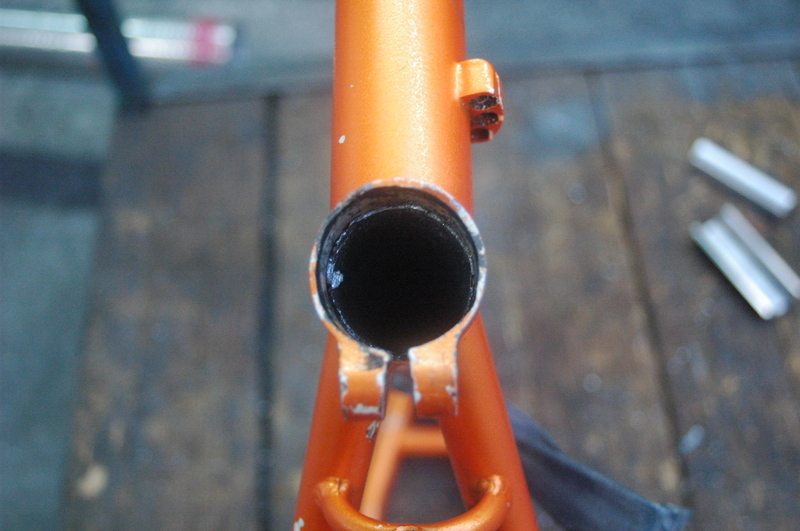 I’m using Ritchey Comp stem and bars, Ritchey Comp saddle and when I manage to dislodge the seatpost, a Ritchey one. 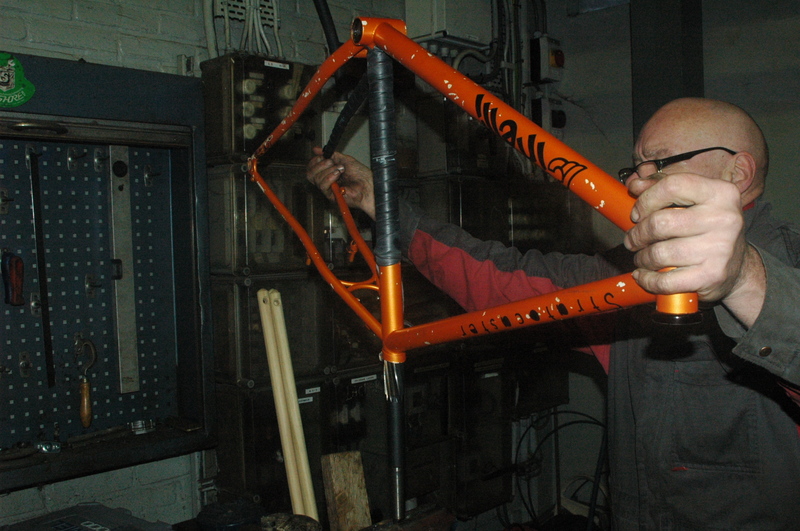 The seat post was stuck, one of the worst cases I’ve come across, and to cause as least damage as possible to the “hard touch’ paint, I opted for non chemical extraction..I took the frame to an engineer friends workshop.. 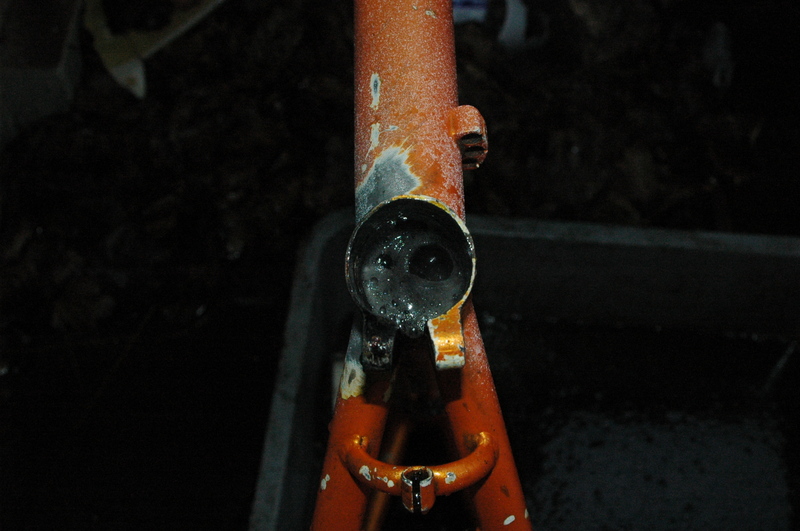 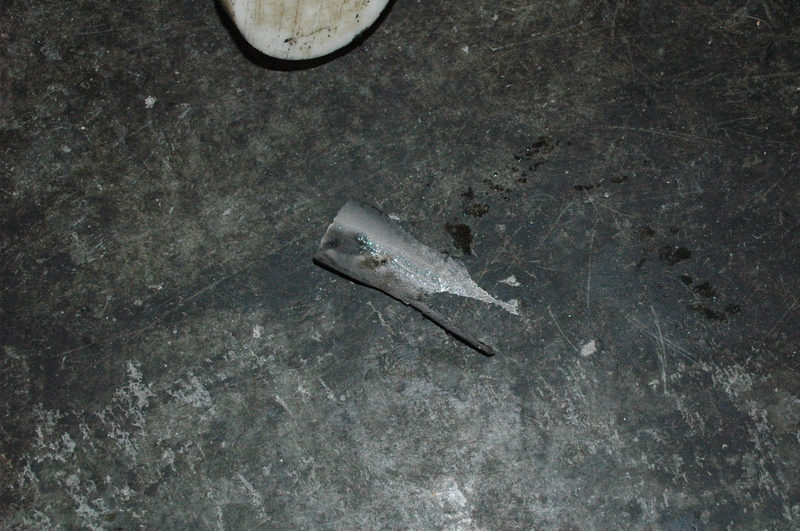 I managed to get some of the post out at the top, but further down it really had melded into the Thron steel seat tube..
which ended up in damaging the frame, leaving a split just below the non drive side seat post clamp collar! 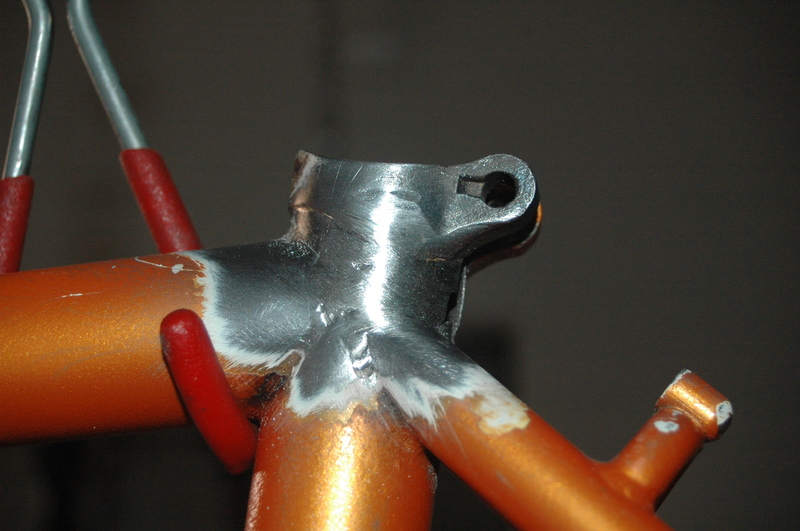 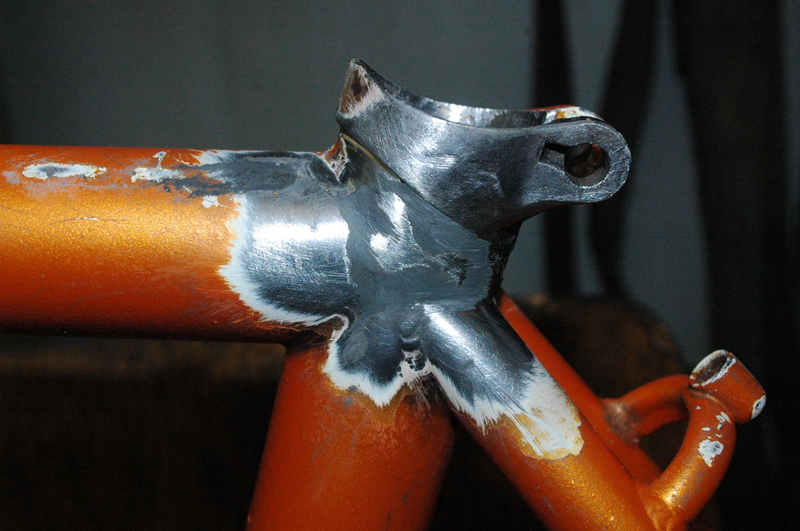 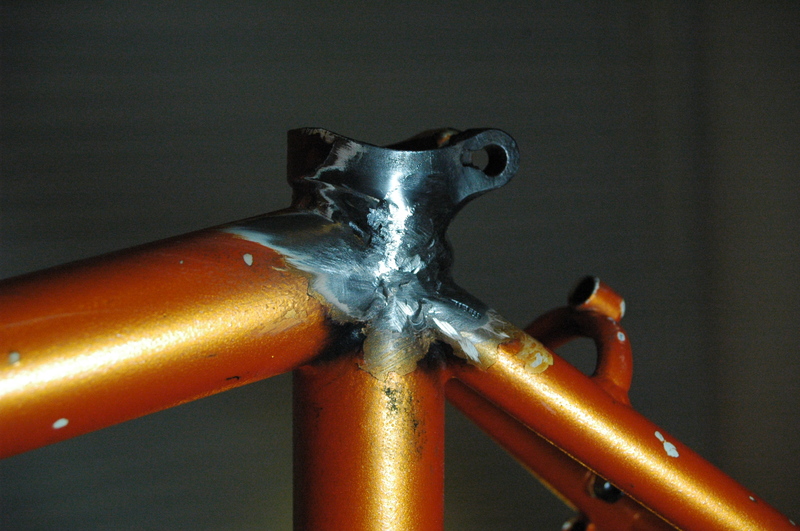 so I got it tig welded..
now I’ll just remove the headset cups, smooth inside the seat post tube, and strip the paint. 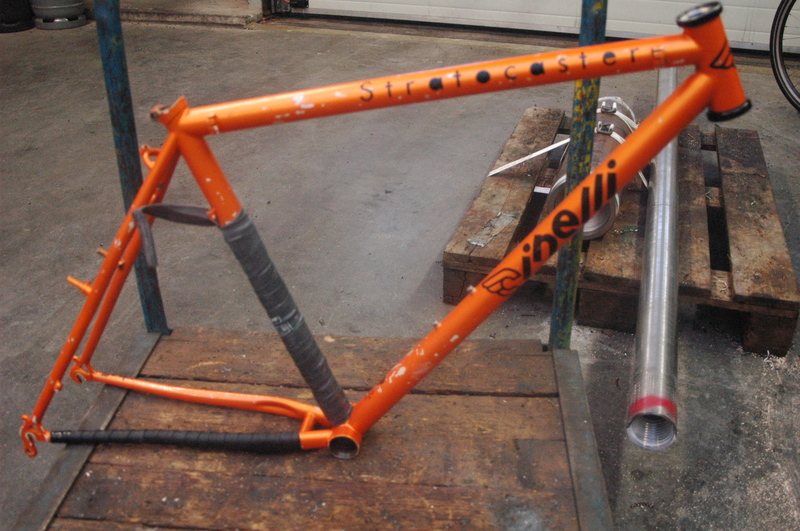 I managed to pick this up for less than the cost of renovating the old frame..